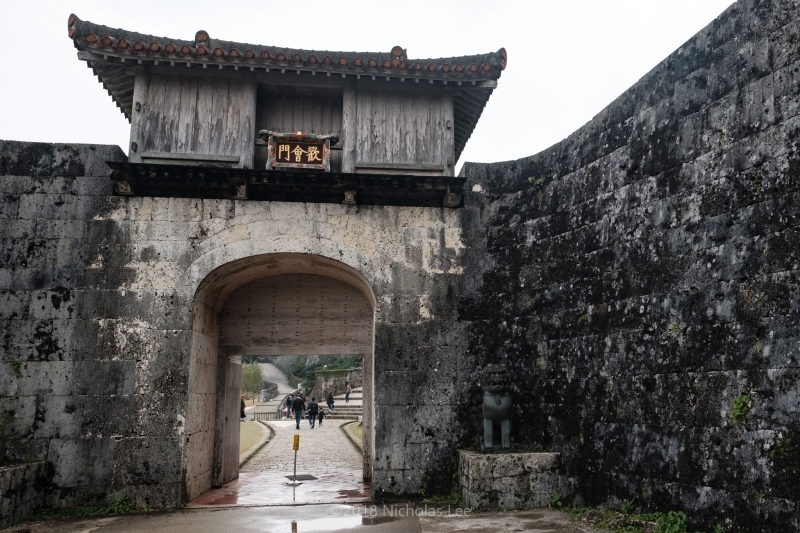 Step into Shuri castle – the gateway for visitors into Okinawa’s past and present. Okinawa – Japan’s southernmost prefecture’s fascinating history and diverse cultural influences clearly distinguish it from other parts of Japan. Where is the best place to start learning more about this unique island? 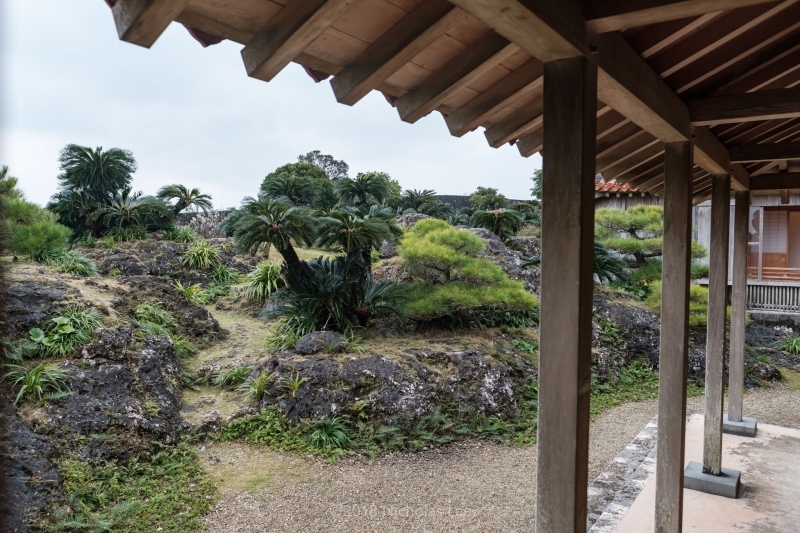 Step into Shuri castle – the gateway for visitors into Okinawa’s past and present. Before the island archipelago was occupied by the Satsuma domain (present day Kagoshima prefecture) in the 17th century and annexed by Japan in 1879, Okinawa was an independent Ryukyu Kingdom. 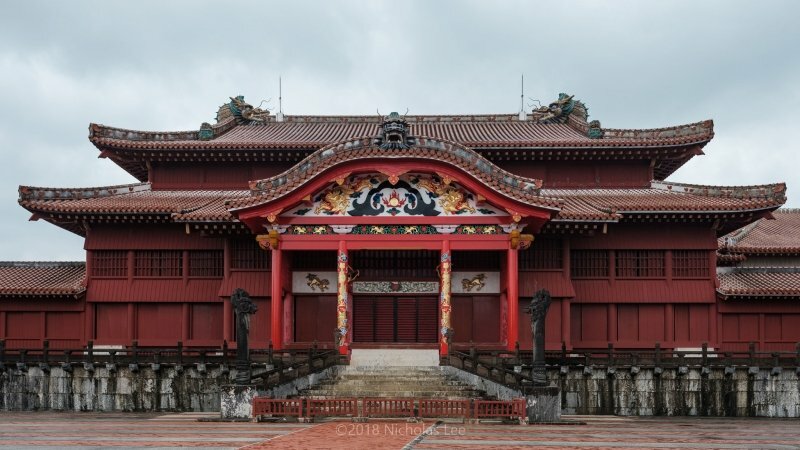 A first look at the majestic façade of Shuri castle provides visitors a window into understanding how Okinawa’s culture is distinct from mainland Japan. The castle’s hybridised architectural style departs greatly from other Japanese castles. Perched on a hilltop in Shuri, the former capital of the Ryukyu Kingdom, Shuri castle was the residence of the Ryukyuan king and the centre of cultural and diplomatic activities. Due to extensive trade with China, Japan and Southeast Asia, a confluence of cultures is present throughout the castle. It was originally built in late 1300s and destroyed many times throughout history, most recently in the Battle of Okinawa in 1945. Major reconstructions started in 1992 and it is the only fully reconstructed castle in Okinawa. Designated a UNESCO World Heritage in 2000, Shuri castle is one of the most visited tourist spots in Okinawa. 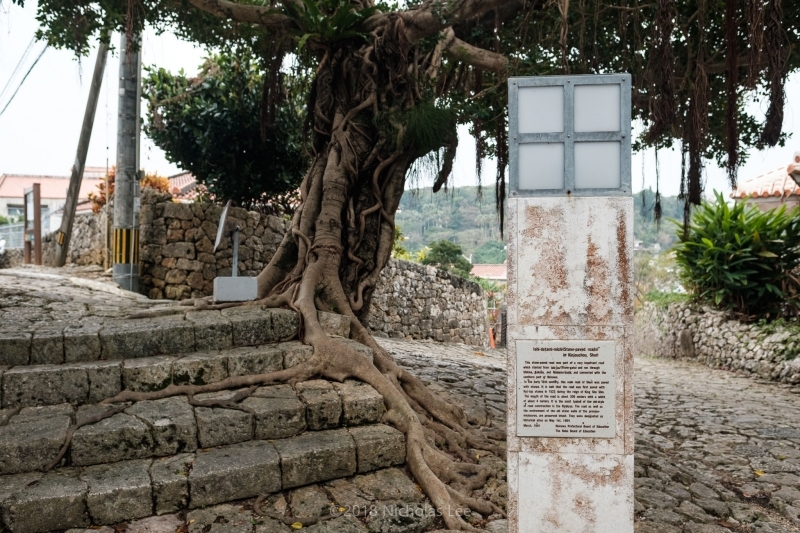 While the castle has become a popular “instagram-friendly” attraction, visitors should leave the site with more than just photographs but a deeper appreciation of its significance in the island’s history and traditions. 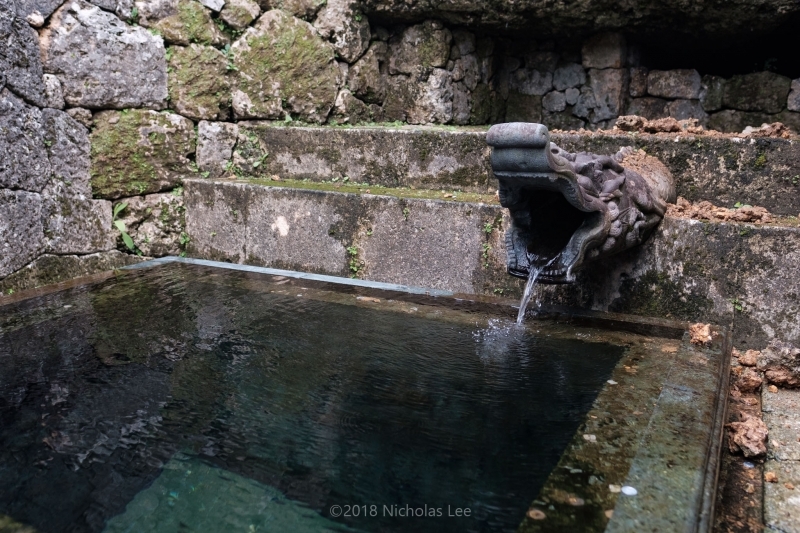 Fine weather and good footwear will enhance your exploration of the castle and make it an unforgettable day trip in Naha, the city capital of Okinawa. 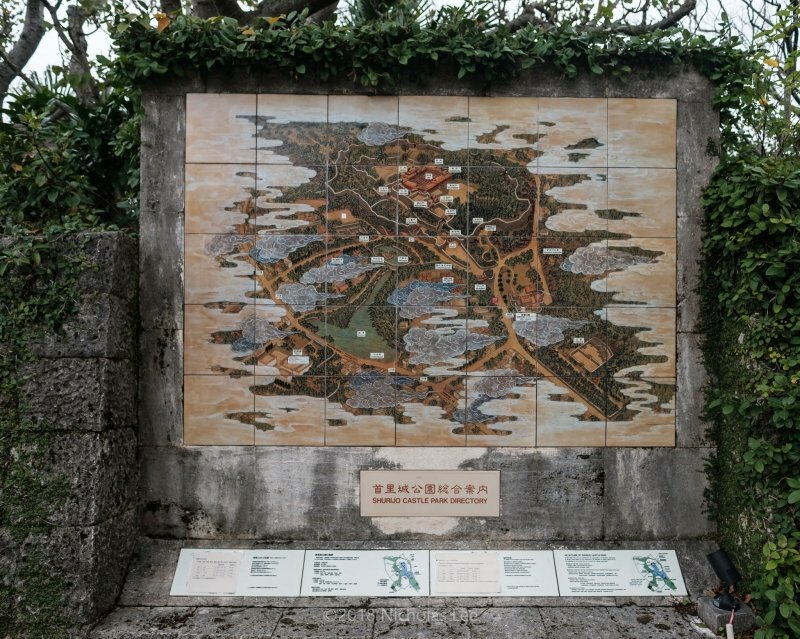 The journey to Shuri castle starts with a short walk from Shuri monorail station. Follow the clear instructions provided at the monorail station, and you will reach the castle grounds in about 15 minutes or less. If you plan to drive to Shuri, check the parking availability (320 yen per small vehicle) before driving up. 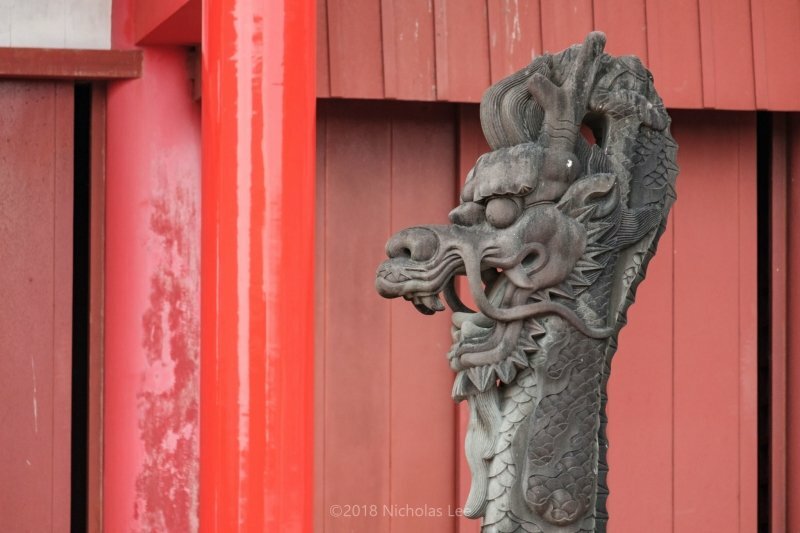 The front gate of the Shuri castle welcomes visitors to walk up the steps which ancient guests, like Chinese envoys, used to traverse on in the past. The castle’s lavish main hall is covered in bright vermillion colour. 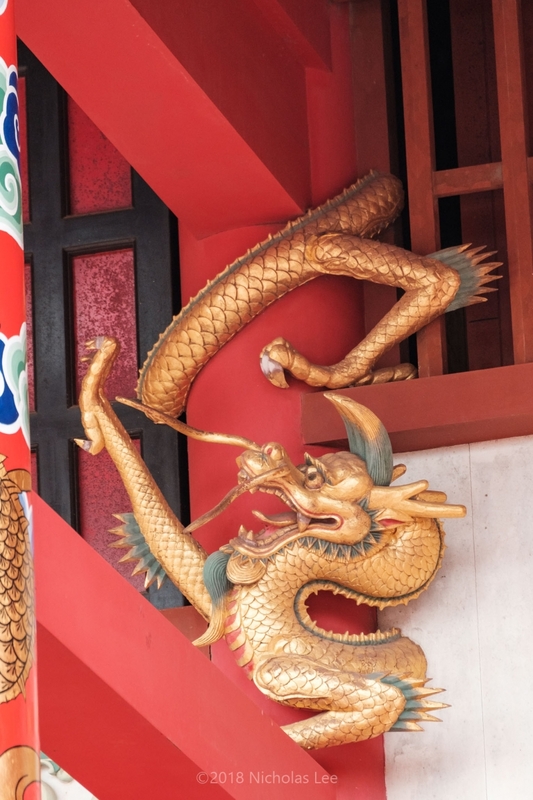 It is fitting testament to the golden age of commerce and culture in the Ryukyu Kingdom. The Seiden is decorated with intricate carvings and embellishments. The motif of the mighty dragon can be spotted around the castle. The dragon pillars constructed from Ryukyu limestone add to the grandiose of the royal grounds. 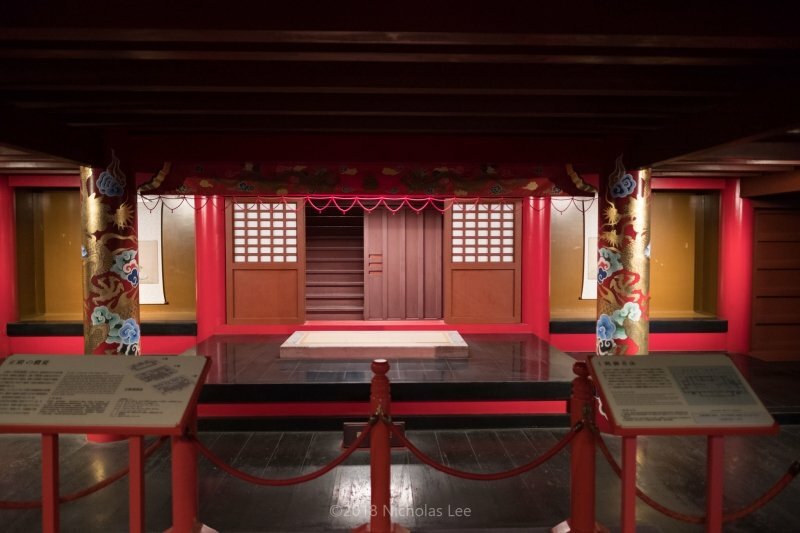 The interiors of the castle can be explored by visitors in a guided route filled with information and exhibits about the history of the Ryukyu Kingdom and the castle with its royal inhabitants. On the second floor of the Seiden, a replica of the king’s throne and crown are displayed in the exclusive area. Take a short respite from the tour of the Hokuden (North Hall) and Nanden (South Hall) and indulge in traditional tea in the tea room. You can have a royal tea experience with traditional Okinawan snacks like chinsuko, a sugary cookie treat, and local sanpin tea (310 yen per person). If you visit the castle on Wednesday, Friday, Saturday and Sunday, you have the privilege to watch free traditional Ryukyu dance performances that are shown in the open space near the Seiden’s entrance at 11am, 2pm and 4pm. It is both entertaining and educational to have a preview of the traditional dance and learn more about arts and music which flourished during the Ryukyu era. Visitors who are interested in music can take part in a 30-minute introductory class to learn how to play simple tunes on the sanshin, a three-stringed snakeskin instrument. Do not leave the castle without spending some time wandering through the outdoor sites. I strongly recommend visitors to complete the “stamp rally” – my favourite activity and a fun way to explore the castle. Finally, a perfect way to end a visit to Shuri castle is to enjoy a sunset from the castle’s lookout points which provide a vantage view of the city’s panorama. 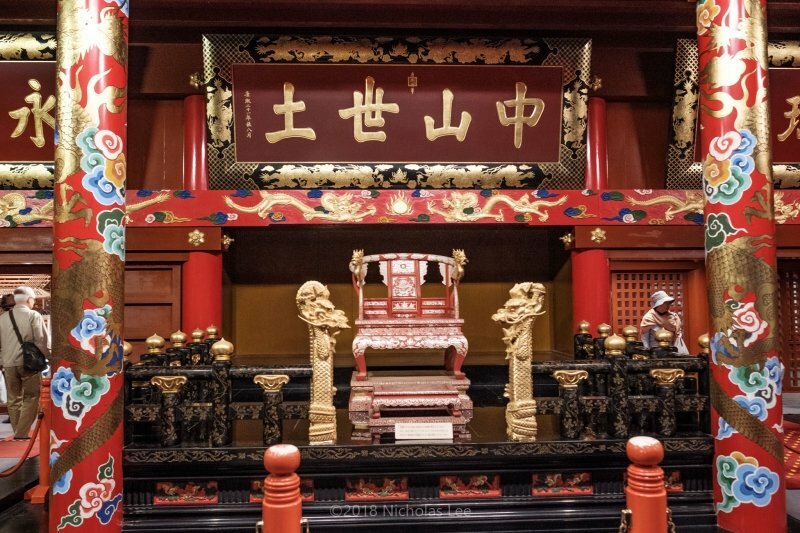 A visit to Shuri castle can be enhanced with a short stop at the nearby Tamaudun Mausoleum, a grand grave for the royal family. It is also rewarding to venture down the picturesque Kinjo-cho cobbled path, which is a stone’s throw from the castle, and admire the traditional houses with red tiled roof. Of course, do remember to try a bowl of the famous Okinawa soba or even slurp some awamori, the iconic “island sake” distilled from rice, as the Shuri area is well-known for reputable Okinawa soba shops and awamori distilleries. A variety of festivals is held in Shuri castle throughout the year to commemorate special occasions and preserve traditions. To mark the start of a new year, the New Year’s banquet is celebrated on 1-3 January every year with a series of rituals and performances. In autumn, re-enactments of the mid-autumn ceremonies and moon-viewing activities are carried out in the castle. 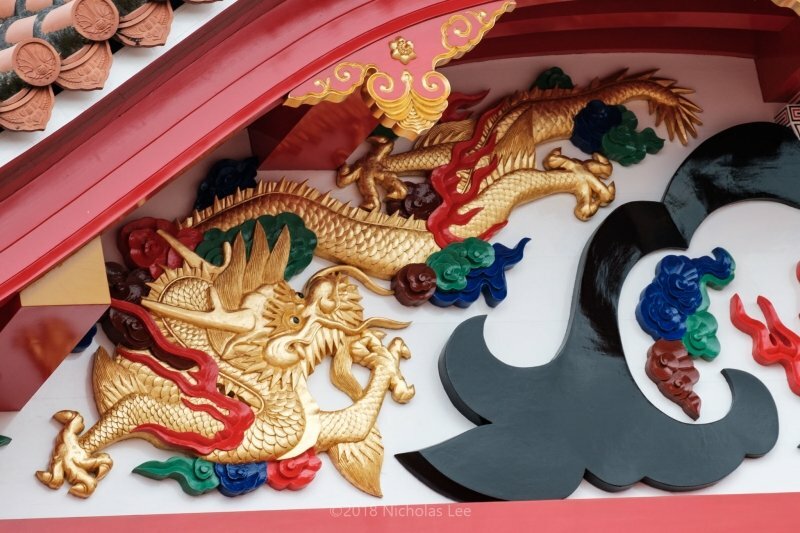 From the end of October to the beginning of November, the multi-day Shuri castle festival brings Naha back into the epoch of the Ryukyu with regal ceremonies, traditional procession and many other festivities. Here's what to do and what to eat in Kanazawa. 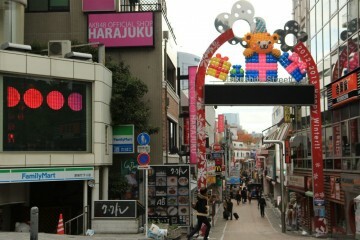 Your short layover is a great way to sneak a peek into the colourful city of Tokyo. 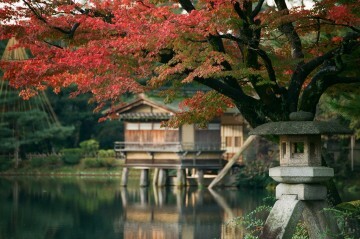 Try your best to take in the exciting sights of Japan in just a few hours! 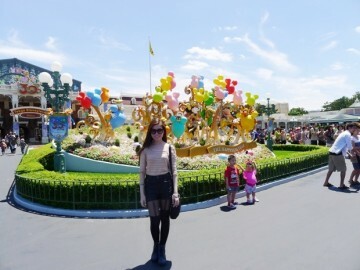 Follow Lovely and her sister's journey through Tokyo Disneyland.